That looks like a cool birthday party. Glad the kids had a wonderful time. 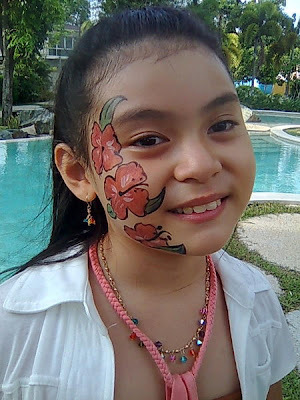 Cute face paint. I like the photo of you and B. The kiddo looks really cute in those big sunglasses.